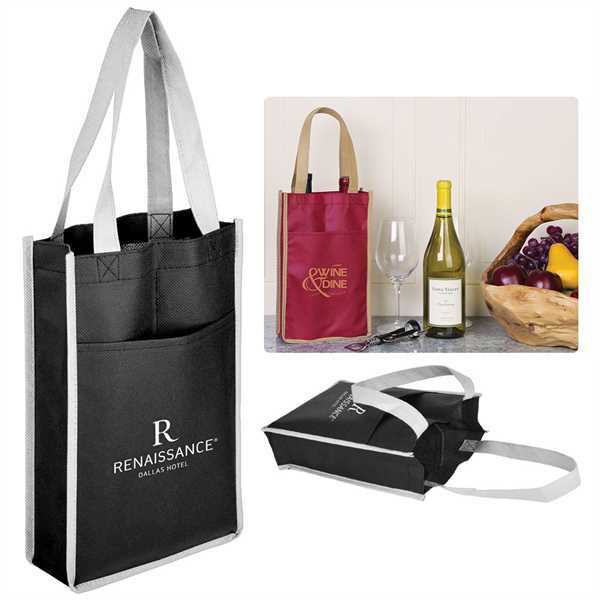 Same Day Service: Same Day Service - This tote made from 80gsm non-woven material. Holds two bottles of wine and features two convenient side pockets for storing your corkscrew, reading materials, smartphone and more. Size: 11 " x 7 "